Obama on poverty: Let’s just get rid of it by raising the minimum wage! Brilliant! I consider myself a relatively smart person, I know a lot of things about a few subjects and I’ve dabbled a little bit when it comes to running a small business, working for Fortune 50s, and even helping out at start-ups … but I never had the idea to raise the minimum wage to wipe-out poverty. From last night’s speech to the low information emotional voters out there. We know our economy is stronger when we reward an honest day’s work with honest wages. But today, a full-time worker making the minimum wage earns $14,500 a year. Even with the tax relief we’ve put in place, a family with two kids that earns the minimum wage still lives below the poverty line. That’s wrong. That’s why, since the last time this Congress raised the minimum wage, nineteen states have chosen to bump theirs even higher. Tonight, let’s declare that in the wealthiest nation on Earth, no one who works full-time should have to live in poverty, and raise the federal minimum wage to $9.00 an hour. This single step would raise the incomes of millions of working families. It could mean the difference between groceries or the food bank; rent or eviction; scraping by or finally getting ahead. For businesses across the country, it would mean customers with more money in their pockets. In fact, working folks shouldn’t have to wait year after year for the minimum wage to go up while CEO pay has never been higher. So here’s an idea that Governor Romney and I actually agreed on last year: let’s tie the minimum wage to the cost of living, so that it finally becomes a wage you can live on. That’s it! Just raise the pay! This president is trying to – again – shove the “a family of four can’t live on minimum wage so we must raise it” argument down everyone’s throat. A statement like the one above requires zero intelligence … actually it demands zero intelligence. Wynton Hall at Breitbart reminds us, Obama’s claim that increasing the minimum wage will reduce poverty has no merit and is proven to put young people out of work. In 2009, for example, a 10.6% minimum wage increase resulted in the evaporation of 600,000 teen jobs within just six months. According to the Bureau of Labor Statistics, roughly half of the 3.8 million workers who make at or below the minimum wage are under 25. That, say some economists, means increases to the minimum wages may actually encourage some teens to drop out of high school to take a job. But hey, for those people who did still have a job, they were making more! Look, raising the minimum wage is a direct tax on small businesses. When the government mandates costs rise (higher wages) the business owners must either raise prices, reduce quality, cut service or most likely some combination of the three. It’s not simple math, but it is math. 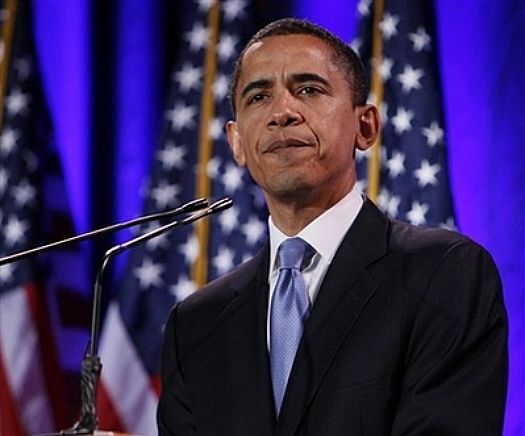 The president wants to raise the federal minimum wage from $7.25 to $9 per hour. For a small business that employes 10, part-time teens 18 hours a week, that $1.75 per hour translates to more than $300 per week. Where does that money come from? Unlike the federal government, a small business can not print money. 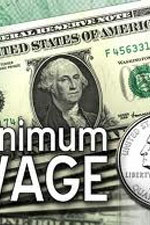 https://radioviceonline.com/wp-content/uploads/2010/10/frontpg-minimum-wage.jpg 225 150 Steve McGough https://radioviceonline.com/wp-content/uploads/2011/02/rvo-logo-4-300x100.jpg Steve McGough2013-02-13 07:48:012013-02-13 07:48:01Obama on poverty: Let's just get rid of it by raising the minimum wage! 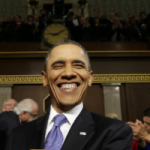 What will the State of the Union address? 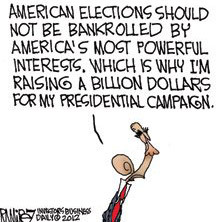 Barry’s economic ideas make?giving everyone a million $ from the Treasury look like a solid financial model. It seems most CT Now Forum users believe raising the minimum wage will erase poverty too. The latest poll indicts that. I think someone has found a way to manipulate those numbers because I can’t believe we are that ignorant of reality. It’s just another federal give-away program. But, ….but,..but, Nancy Botoxi says extended unemployment benefits stimulate the economy so this is a win-win:? Higher minimum wage puts more people out of work, they get benefits, and the economy is saved, all at no cost to anybody because government money is free, isn’t it? I’ve never understood who is trying to make a living on minimum? wage.? Those types of jobs are seasonal or entry level.? McDonald’s pays more than min wage – what does this mean?? Means the dollar menu is now going to be the three dollar menu. Or…… it could be paving the way to pay illegals more money.? Food for thought. A living can be made on minimum wage,”Nickle & Dimed in the USA”proved it. Aren’t public sector union pay scales formulated from multiplying the minimum wage? If the minimum wage was abolished, would wages then be a function of economic reality? I’m just setting a rhetorical vector out of the faux compassion BS that these union lap dog usurpers use to manipulate how people in general comprehend reality.? In this political climate facts and reality are irrelevant. If this clown had a brain he’d be dangerous. ? I thought a living wage was 20-25 per hour.? What’s with 9 bucks? It’s just a number he pulled out of thin air. ?It doesn’t mean anything at all. ?God knows you can’t live alone on $9/hour… this dope obviously doesn’t get it. Shouldn’t minimum wage be $490/hr so everyone would be a millionaire then the millionaires tax would make sense. Is that you Chris-I knew you were a deep thinker…. Genius… and since the labor cost will drive up the price of everything we can look forward to $170.9 per gallon of gas (tax, gross receipts windfall for Ct!) 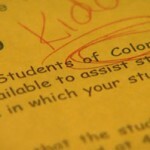 sales tax revenue will just skyrocket, not to mention income tax revenues.? All our problems will be solved… just throwing in my $20.02? 1. He always speaks the truth ” our economy is stronger when we reward an honest day?s work with honest wages”.? When he institutes a millionaires tax (punishes the successful), the economy will not be stronger. 2.? A?plutocrat is he.? “Let them eat cake” says he.? ?Much suffering for all?if this one remains in charge.? For I, Yoda, have foreseen it. All of these drive-by media people know this is BS, but they just won’t expose this guy for the fraud he is. Investigating Obama would destroy the Democrat party because it would expose how the party has been hijacked by Marxists. The drive-bys will never admit that they willingly were “HOODWINKED” by this snake oil salesman. ?